Stop it BAR. Just stop it. Do you know why the Ain Dara temple doesn’t shed any light on ‘Solomon’s Temple’? 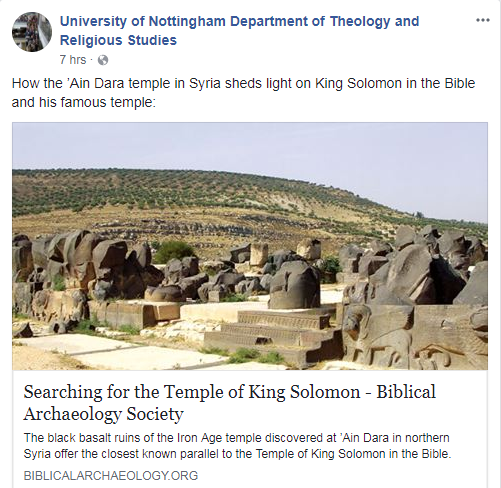 Because there’s not an archaeological shred of Solomon’s Temple to be found. Comparing something you have (Ain Dara) with something you don’t have (Solomon’s Temple) is idiotic. It’s like comparing a car (which you have) to a submarine (which you don’t have). You can’t compare the known and the unknown. Analogy, in other words, is extraordinarily limited and usually misleading. So stop it BAR. Just stop it. 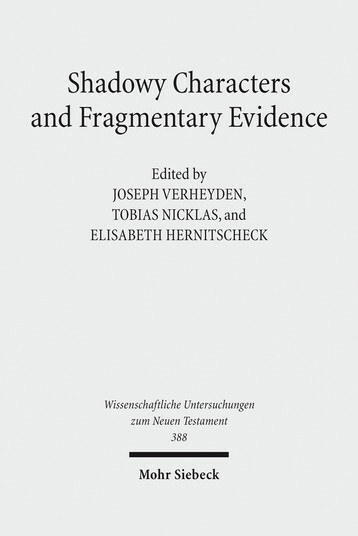 The present volume contains the proceedings of an international colloquium that dealt with heavily fragmented texts and hypothetical sources, and the “shadowy” characters and movements they feature. These two aspects are combined and studied to ascertain how they have been handled in the history of research, to find out what they reveal about the community or the group expressing itself through (or hiding behind) them, and to establish the role these documents and figures or groups should be given in reconstructing an overall picture of developments in the theology and religious life of early Christianity. As can be imagined, such documents and sources have sometimes been taken as an open invitation to come up with all sorts of highly creative exegesis, adventurous reconstructions of texts and movements, and quite daring suggestions about identifying particular groups or presumed literary influences between documents. The essays contribute to the writing of a critical history of researching these types of documents and movements. Mohr have sent a review copy, for which I am grateful. 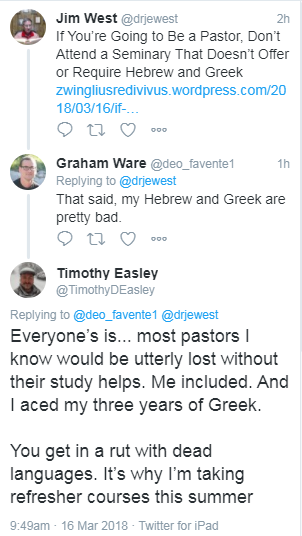 The early church was anything but monolithic and any suggestion that early on there were ‘orthodox’ and ‘heterodox’ views is shown to be false by a simple reading of Acts where battling perspectives fight it out for supremacy. And this struggle didn’t end when the composition of the books which we call the New Testament writings were completed. It continued for centuries. The present study is a carefully carried out examination of various aspects of that struggle. The papers here collected were originally delivered three years ago at a conference in Leuven. Since that time they have been reworked and edited for publication here. The sequence of essays is roughly chronological in that the earliest conflicts within Christianity appear in the first chapters of the book and the latest at the end. The essays are really quite helpful and the authors are clearly ‘up to date’ in terms of the status quaestionis. Tuckett’s work on Q questions the whole premise of that community and Zamfir wonders if the ‘opponents’ of Timothy’s epistle are real or pretend. That’s the same question Sommer asks regarding the Nicolaitans of Revelation. The next three essays examine apocryphal texts and the four after are concerned with fragmentary texts and what they can contribute to our understanding of the conflicts within early Christianity. Finally, the last essays are, to this reviewer, the least interesting. I’m just not that into Heracleon or Origen nor am I particularly engaged by talk of Christian intelligentsia in the later days of the early Church. But that’s a personal preference and says nothing of the usefulness of these essays to those who care about those topics. Overall, the essays here are very informative and accordingly very much worth reading and engaging. I was personally most appreciative of the first three (see the table of contents above) simply because I am far more interested in the earliest Church and its texts than I am the bits of the Church which produced materials that eventually were discarded by the Church as a whole. I especially appreciated Tuckett’s honesty and open mindedness concerning Q and his unwillingness to draw conclusions when only speculation is their foundation. His cautious and careful approach is far more helpful than the exaggerated speculations so common in many corners of biblical studies today. The decision of the editors to place Tuckett’s essay first not only makes sense chronologically, but placing the best first invariably encourages the reader to move forward in anticipation. The best wine, to borrow a metaphor, is here served first. By the end of the party readers won’t really mind the lesser character of the later offerings. Conference volumes, that is, volumes comprised of papers delivered at academic conferences, can be incredibly useful or incredibly boring. This volume falls into the first category. The editors are to be congratulated and the authors are to be applauded for what turns out to be a very fine work. I recommend it. Luke 22:43-44. Is the Angel and the Drops of Sweat an Early Addition? This post is part of a series  on some of the textual variants found in the Passion narratives. We will discuss the rationale behind the text adopted in the Greek New Testament as Produced at Tyndale House in (1) Mt 27:16,17, (2) Mt 27:49, (3) Mk 14:30, 49, 72a, 72b, (4) Lk 22:31, (5) Lk 22:43-44, (6) Lk 23:34. ‘There was a rich man who used to dress in purple and fine linen and feast magnificently every day. And at his gate there used to lie a poor man called Lazarus, covered with sores, who longed to fill himself with what fell from the rich man’s table. Even dogs came and licked his sores. Now it happened that the poor man died and was carried away by the angels into Abraham’s embrace. The rich man also died and was buried. 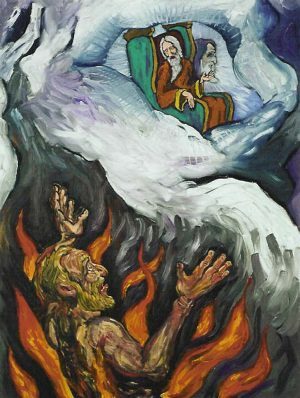 ‘In his torment in Hades he looked up and saw Abraham a long way off with Lazarus in his embrace. So he cried out, “Father Abraham, pity me and send Lazarus to dip the tip of his finger in water and cool my tongue, for I am in agony in these flames.” Abraham said, “My son, remember that during your life you had your fill of good things, just as Lazarus his fill of bad. Now he is being comforted here while you are in agony. – Luke 16. And best of all? Eternity is forever- so the poor man will be blessed longer than the rich man ever was and the rich man will suffer more than the poor man ever did.